With graduation just around the corner, may I interest you in a thoughtful and wonderful gift of this little book filled with wit and wisdom for your graduate? 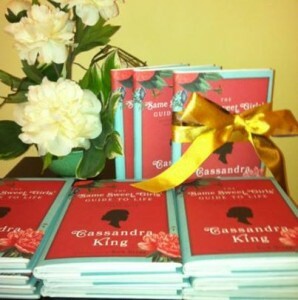 Cassandra King’s guide, which was taken from a commencement address she made to her alma mater in 2013, is a slim, but stunningly illustrated and delightful book that will sure to be considered a welcome addition to any graduate’s library. I so wish I could have found images of the illustrations inside. Simply stunning. Each of the six tips spoken (such as Be Sweet, Be a Little Crazy and my favourite – Become a Lifelong Reader) are richly featured with many illustrations of flowers or silhouettes. With pearls of wisdom such as being nice to people whether you mean it or not (because you never know when a kind word will make a difference in a person’s day, or life) and being open to love as it’s the most astonishing and powerful bond to being as strong as you can be because life will break your heart, and that understanding that this suffering is all part of the package. 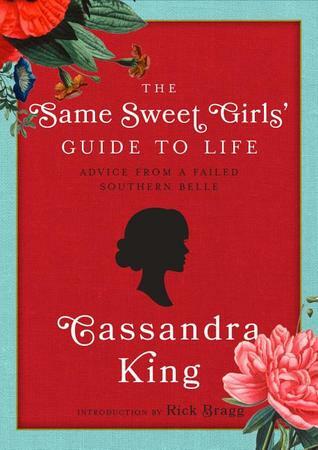 The Same Sweet Girls is also the title of one of King’s novels (separate from this guide), and could be considered autobiographical in some ways. She says she waited four decades to write about the group of girls she shared her times with at the University of Montevallo, which used to be the University of Alabama in her time. This was also part of her speech that rang deep for me – she tells of how these women are still a part of her life and how they meet annually in Florida. She subtly indicates the importance of those friends in your lives, well past graduation. We became and remain to this day the Same Sweet Girls. We aren’t really sweet and never have been, but we made a pact that we would always stay connected, and that we would get together once we left our college days behind. We have been doing so for four decades now (pg 31). Many of us have trouble putting love or gratitude into words, but keep in mind that our actions always reveal our feelings. Always (pg. 48). The final chapter of the book contains pages where you can write your favourite books so that you may keep a lasting record of your reading life. This was the seventh tip added after her commencement speech and is about becoming a lifelong reader. Cultivate an appreciation and passion for books. I’m using passion in the fullest sense of the word: a deep, fervent emotion; a state of intense desire; and enthusiastic ardor for something or someone. (pg 67) But know this: Books are most worthy companions to take with us on this bittersweet journey known as life. They offer us everything we will need along the way: knowledge, wisdom, insight, guidance, adventure, role models, compelling stories and great truths that have endured through the ages. Most of all, books let us know we’re not alone in this world…Some might say we lose ourselves in a good book. In truth, we find ourselves (pg. 70). The Introduction is written by Rick Bragg, and Cassandra King shares a story as to why she so admires him, in her Acknowledgements. It will continue to warm your heart as much as this tiny book did. Many, many thanks to Maiden Lane Press for sending me this now, most cherished book. It will be proudly displayed, and consulted again when words of wisdom may be needed to get through a day, whether it be a difficult one or one that is tinged with some melancholy where a little pick-me-up is needed.